Although every merchant wishes to attain zero percent chargeback ratio, but it is not always possible. You cannot get rid of chargebacks, especially, if you accept payments through credit card. But you can always opt for solutions and ways to intercept chargebacks before they hit you. This can be done with the help of chargeback alerts. When a customer contacts issuing bank to file a chargeback, issuing bank enquires about it and determines whether the complaint is genuine. If it is, then the card network is notified of the dispute. Here, at this point, the chargeback alert system receives the notification of the incoming chargeback before it is submitted to the card network. Chargeback expertz has been and is still working with a large network of issuers that allow us to intercept chargebacks from almost every financial institution. How Can Chargeback Alerts Help? Full or Partial Refund: Being one of the most common response for chargeback alerts, merchant can effectively stop the chargebacks by setting up rules to automatically generate refund to the customer. Blacklisting the Customer: It is a harsh step to blacklist a customer but sometimes become necessary as a respond to chargeback alerts. If a customer is doing friendly fraud, it is fine to block the customer permanently. Blacklisting works as asafeguard against problematic customers. Cancelling Services: Chargeback gives opportunity to the merchant to cancel the services for a particular customer the moment the transaction is disputed, especially if your business uses recurring and subscription billing. Cancelling Shipments: If the shipment is still in fulfillment, through Chargeback alerts, merchant can cancel it before it is sent to the customer, which might stop the chargeback. Rerouting Shipments: If the chargeback is received after the product is shipped, merchant can still reroute the shipment and can get delivered it to the warehouse. This method is as effective as cancelling the shipment. Accepting Chargeback: If the merchant chooses not to respond to the chargeback, it proceeds to the card network, as it would do normally. This will affect the chargeback ratio of the business and but the merchant can still dispute it. All the merchants, irrespective of industry type, are benefitted by chargeback alerts. But high-risk merchants or merchants dealing with large volume of chargebacks are benefitted the most. 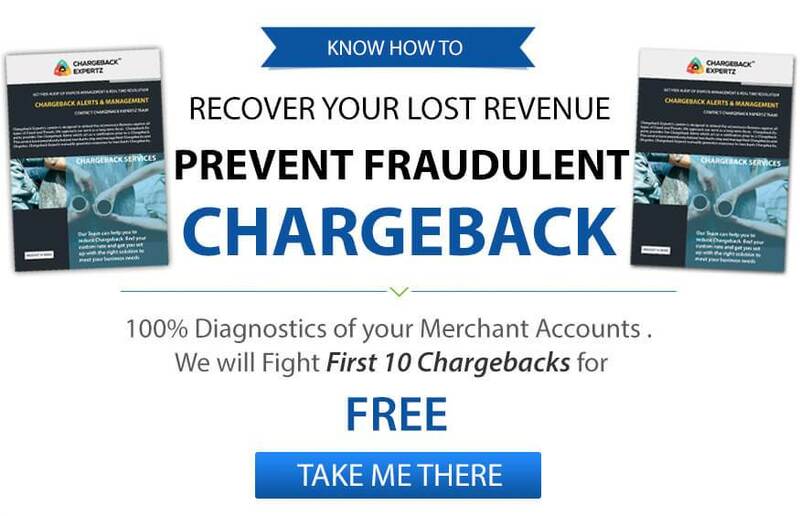 How to identify root causes and prevent chargebacks on your merchant account ?